Rings are exciting pieces of jewelry that everyone loves. At Hoops & Loops we have made sure to make a wide variety of rings that will suit every type of fashion style. Everyone wears some form of jewelry but not every person has the same fashion style. Where two or more rings at one time if that's how you love to wear them, at our prices you can buy as many as you want and style them any way you want. If your fashion style is hipster, urban chic, goth, minimalist, sophisticated or more--we guarantee that we have jewelry that will fit you. Your feet will look wonderful with your toes decorated in our toe rings! EXPRESS YOURSELF WITH OUR JEWELRY. Jewelry is a strong force of self expression. Let Hoops & Loops give you the accessories you need to express yourself exactly as you want. You are in charge of how you look when you wear our jewelry. Our jewelry pieces will become your new go-to fashion accessories. All our jewelry makes excellent gifts as well. Gift someone with our jewelry for their birthday, graduation, anniversary, Christmas, Hanukkah & other special occasions! Sterling Silver is one of the best materials to make fine jewelry from and we at Hoops & Loops have taken it to the next level. How? Because our jewelry is coated with Special Anti-Tarnish Finish that extends its luster and longevity. 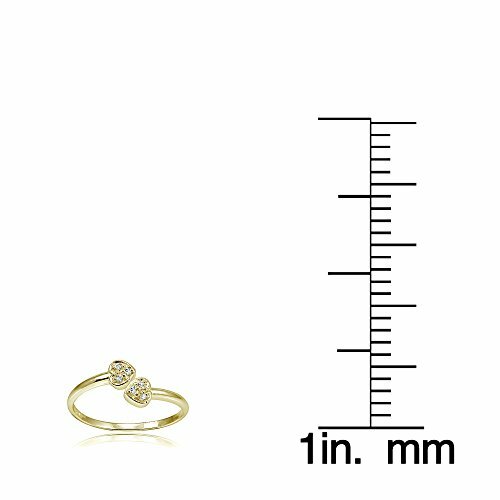 HOOPS & LOOPS PROVIDES HIGH QUALITY FINE JEWELRY: Hoops & Loops jewelry collection pieces are personally curated and inspected prior to being sent out to customers to ensure perfection and complete satisfaction. FREE SATIN POUCH WITH EACH PURCHASE: We send our jewelry with a free specially Hoops & Loops branded satin gift pouch. 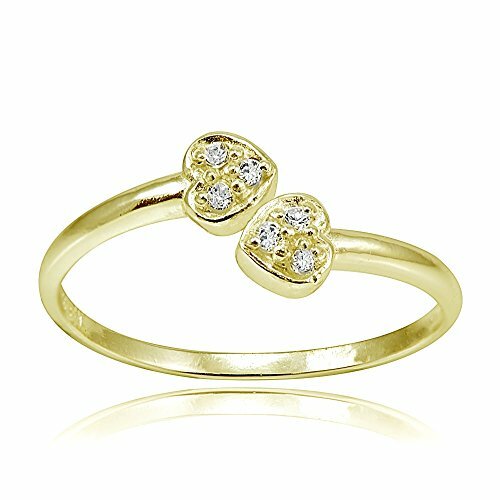 DOUBLE HEART DESIGN: These Hoops & Loops Flash Gold Plated toe rings features a dazzling Cubic Zirconia Double Heart Design. 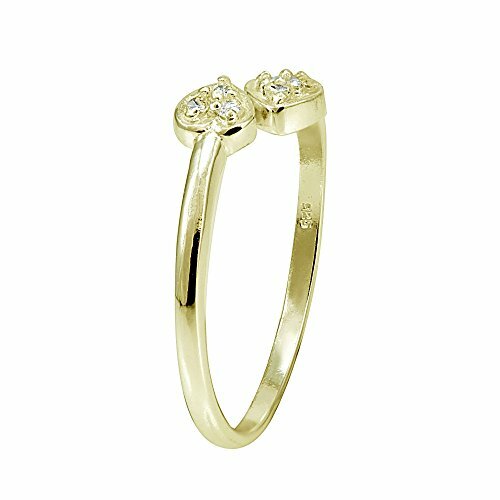 With the stunning yellow gold heart and CZ combination these toe rings are beautiful fashion accesories. UNIQUE ANTI-TARNISH COATING: All of the Hoop & Loop fine rings are coated with a special anti tarnish polish that will preserve their shine and beauty. 100% SATISFACTION GUARANTEED: We guarantee all our customers 100% satisfaction from our products! All our jewelry comes with a lifetime guarantee!